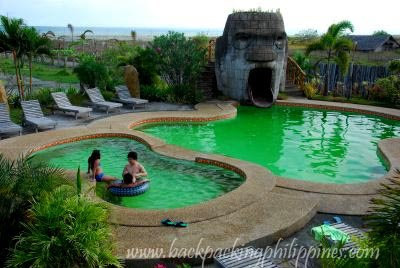 Located on Lingayen Gulf's long beachfront with fine gray sand with waves suitable for newbie surfing, El Puerto Marina provided the welcome respite from tired corporate slaves. Accommodations: Tutubi's room is good for 4 persons with 2 single beds with little space in between plus a double-decker. It's suited more for budget-conscious families or for company outings. Rooms were clean though the beds need to be a little wider. The other rooms, more expensive are not like that though. Food: The first buffet meal, a must for Tutubi's company, was miscalculated for the number of persons reserved and had to add more food to satiate Tutubi's voracious officemates. The resort management made up for it the next meals. There's an ice cream machine for the kids. Food was generally fine and the waiters/servers polite. Facilities: the swimming pool is a little small for all large companies, saltwater system with green color possibly due to algae. The pool needs to be lit by a spotlight or in-pool lighting at night. The place has a large activity area and lawn suitable for team-building activities and games. Surf boards can be rented as well as ATVs, fishing rods (plus bait) and kayaks. The videoke is projected on a large screen to the delight of videoke-crazy people. 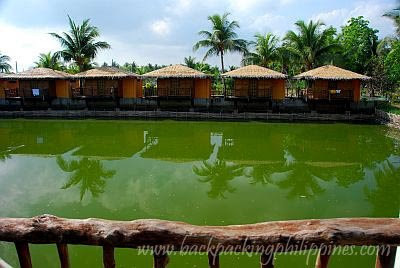 Price: accommodations are more for budget-conscious people though the rooms near the fishpond are more expensive and private. Beer costs PhP60.00/bottle, a little pricey for the place. Overall: As earlier mentioned, it's not a cheap resort but a mid-end one. 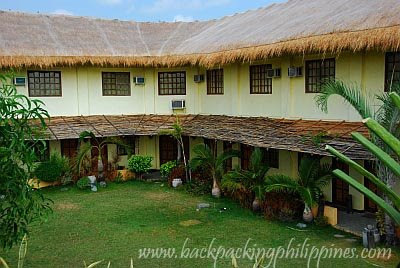 Companies looking for alternative summer outing destination can find the resort tailor-fit for their budget though it's about 4 hours from Manila via NLEX-SCTEx-Tarlac and about an hour to the Hundred Islands in Alaminos, Pangasinan. I like this place a lot. 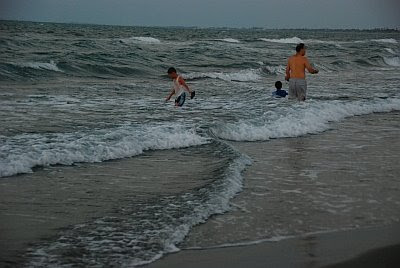 When I was growing up, we would always go to Lingayen for beach time. I'm glad to see that there is accommodations available. Ganda ng resort. Wow, that looks like a terrific place & hotel. nagsesearch ako how to get there... huhu! hi. i would like to ask about the prices of the rooms? is it per day? can we bring foods and beverages? what are your packages? hi, im planning to have my wedding done at your resort..do you have any packages for at least 150-200 pax..to include at least 3 rooms? hope you have price lists..